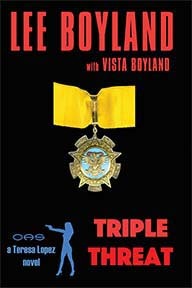 Triple Threat by Lee Boyland with Vista Boyland has just been released on Amazon Kindle. 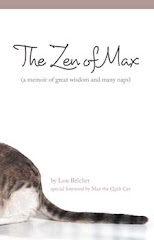 It is the second novel on the OAS series. The story told in Pirates and Cartels continues. Did you know a vast criminal empire exists in South America? Known as the Triple Frontier or the Tri-Border Area, it is home Jihadists and narco cartels who have created their own little nation. The Triple Frontier has been mentioned in previous novels. Now it has reached the top of President Alexander’s to do list. After wrapping up Phase I of Operation Ninja in Mexico, it is time to deal with the Triple Frontier, a 100 square mile area spanning Argentina, Brazil and Paraguay. The president sends Teresa to South America to negotiate plans to end the criminal empire, but first, Teresa and Julian travel to London to coordinate with MI6, MI5, and the Foreign Secretary where Teresa has a dust-up. Teresa heads south and President Alexander implements his plan to convene a meeting of selected nations to form a replacement for the UN. Some nations resent not being invited. While Teresa is working the political scene in South America, cartels discover her mission and decide to take her out. A radical imam in London decides to revenge the destruction of Mecca and Medina by killing the leader of the Great Satan in London. A U.S. Coast Guard cutter intercepts a new class of submersible cartel submarines. Secretary of War Simpson prepares another of his famous surprises for the cartels. Julie and President Wolf’s daughter liven up the flight to London on Air Force One. While Teresa perfects her diplomatic and pistol skills, Erica Borgg and Lee Culberson develop their romance and Julian worries about ninetos, a Russian colonel, a Mexican general, and now a prince. Deltas and SEALs have plenty to keep them busy, and Recon Marines manage to get their nose under the OAS tent wall. If you haven’t read Pirates and Cartels, take advantage of our Announcement Special and purchase a copy for $2.99 by clicking of the following link. This price will be good through April.